On Jan. 9, 2017, a brand-new school will be officially opened with pomp and ceremony in Higashi-Matsushima, Miyagi Prefecture. Named Miyanomori Elementary School, it has 143 pupils enrolled so far, drawn from both Miyato Elementary School, which is closing down, and Nobiru Elementary School, which was destroyed by the Great East Japan Earthquake on March 11, 2011, and the horrendous tsunami it triggered. From the outset, myself and the staff of our C.W. 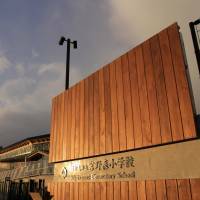 Nicol Afan Woodland Trust have been closely involved in the project, and I consider this school — safely sited 31 meters above sea level — to be one of the greatest and probably most lasting achievements of my long career in environmental protection and education in Japan. In fact the school’s genesis was back in August 2011, when we invited 27 adults and children from the small city of Higashi-Matsushima — which lost more than 1,000 of it 40,000 residents and two-thirds of its buildings in those awful events a few months earlier — to spend three days and two nights just relaxing, playing and “chilling out” in our beautiful and peaceful woods in the Nagano Prefecture hills. 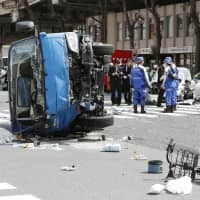 The area of the city where the greatest loss of life and property occurred was Nobiru, a formerly beautiful suburb that was almost totally devastated. 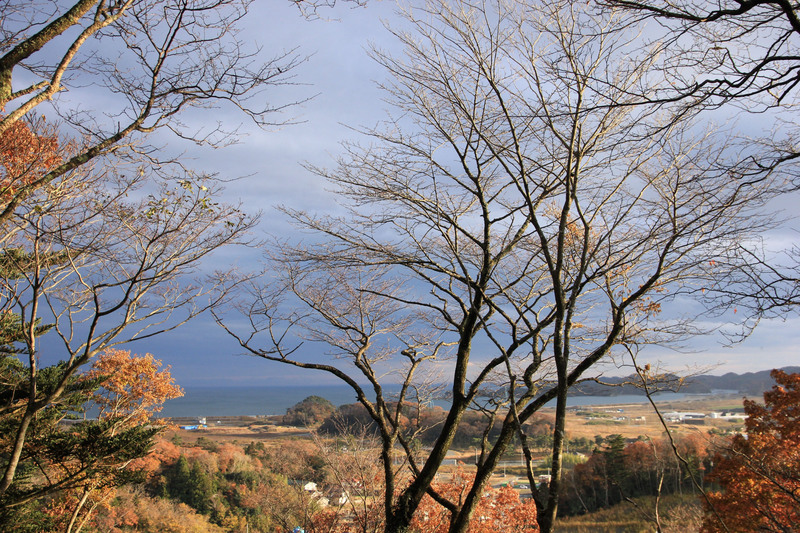 Consequently, a decision was taken to build a new elementary school on hilly ground overlooking Nobiru, above the reach of a future tsunami. The site chosen was covered with dense, neglected trees, shrubs and bushes, and soon after those workers approached me our trust was asked to transform it into a woodland of light and diversity — and to also take part in planning the new school. In the more than five years since, thanks to the help of so many volunteers and sponsors that’s it’s impossible to name them all here, that woodland has changed almost beyond recognition. Flowers now bloom there, birds sing and nest, and even small animals have returned. We’ve also built footpaths and trails, constructed a fine treehouse, a lovely little “sound shelter” where people can relax and listen to nature, and a horseshoe-shaped wooden deck overlooking where Nobiru used to be, with the Pacific Ocean beyond. Soon we’re going to construct a natural amphitheater in the woods for plays and recitals, too. Every month, staff from our trust, various volunteers and myself have spent weekends and holidays in the area with the local children, playing together and helping them to learn about nature and the environment, local history and the basics of survival, both from and in the woods, streams, paddies and along the nearby seashore. However, as regards the actual school building itself — well, that’s been one hell of a battle. Right from the start, I made it absolutely clear that I had no interest in seeing the construction of yet another ferro-concrete box. If we were to be involved at all, the school would have to be made of wood. 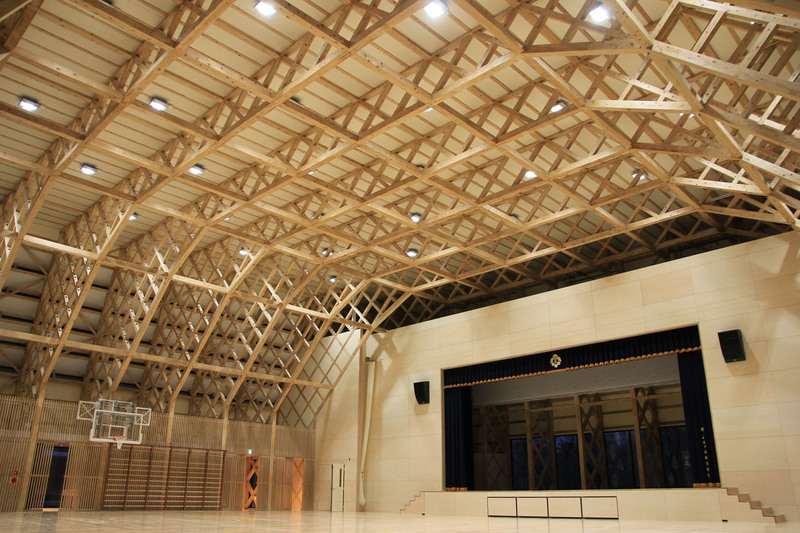 I could lay out a whole thesis on why schools should be built of wood in Japan. For one thing, they are far more easily repaired and maintained than ones made of bricks or concrete, and in fact the oldest and biggest wooden buildings in the world are still in use in this country — clear evidence of how resistant they can be to earthquakes, too. In addition, pupils and teachers in wooden buildings have also been shown to be less susceptible to colds, influenza and allergies. I could go on and on, and indeed, I did. The education board covering Higashi-Matsushima, the mayor, parents and even (quietly in the background) the national Ministry of Education, Culture, Sports, Science and Technology backed us. Predictably, though, some politicians and others with close ties to the “modern” Japanese construction industry did not. I fought it out face to face with many, while others stayed in the shadows or skulked in their holes doing their best to scupper the project. 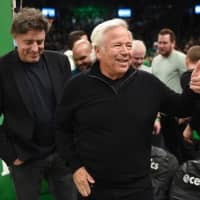 We won. 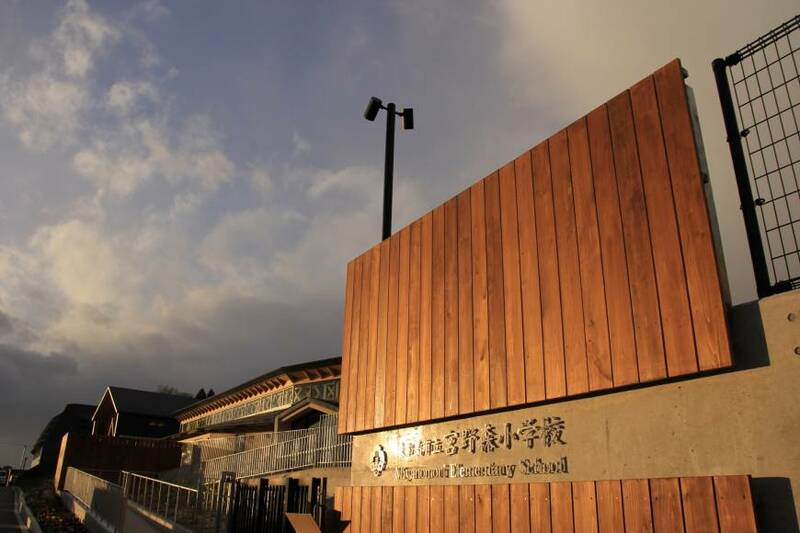 On Oct. 6, 2012, I took part in a ji-chin-sai (Shinto ground-breaking ceremony) on site, and now the magnificent new public — not private — school, fragrant with the scent of Japanese cedar, has been built and is ready to accept its first pupils soon — on Jan. 10, in fact. Designed by the world-famous architect Kazumi Kudo — who also heads her own company, the international award-winning Coelacanth K&H Architects Inc. — in co-operation with Sakari Soko Architects, and constructed by Sumitomo Forestry Co. Ltd., the buildings are light and airy, and will no doubt be used for all kinds of projects other than regular schooling. 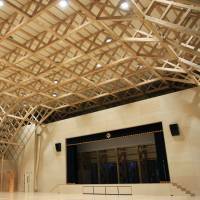 And though the cost was high, this is perhaps one of the most beautiful, modern wooden school building in the whole of Japan. If it’s well maintained, it will last for generations. The front of the school overlooks the coast and ocean, while behind there’s the lovely little woodland we hope will be used as an open classroom, for teaching not only biology and environmental subjects, but also for language, history, geography, geology and even basic math — and we have the knowhow to assist the teachers if they wish. Simple survival techniques such as lighting fires in any weather, and getting potable water without taps, can and should also be taught. This will be tough, I know, as most young Japanese teachers have never even played in nature, and some have never even struck a match, let alone lit a fire. However, that can all be solved — and enjoyably, too. Over the past five years, the children we have played and studied with have come to trust us — and we still keep returning after five years. 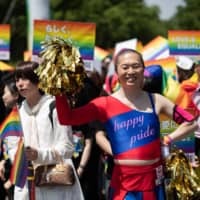 That’s unlike teachers and school principals in Japan, who get swapped around every couple of years, which I think is a huge though not insurmountable problem. 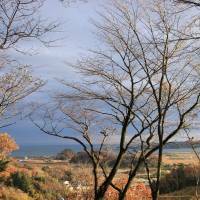 The children of Tohoku are survivors, and they will not forget. I am really proud of the new school, and profoundly grateful to our many volunteers, sponsors, supporters and, of course, to our own hardworking staff. We have literally devoted our lives to getting this project off the ground. The funny thing is though, as a boy growing up in Britain, I hated school. Fate moves in mysterious ways, or at least has a heck of a sense of humor. Speaking of which, I couldn’t finish this Notebook without expressing my heartfelt thanks to all of you who sent kind wishes after reading the previous column about my current medical woes. I’m pleased to say that although I couldn’t make it to last month’s final inspection of the school buildings, I am slowly improving and will definitely attend the official opening on Jan. 9 as I continue getting back to my Old Nic self of yore. So, it’s my pleasure to wish you a very happy and healthy 2017, one and all.